Yesterday, I accidentally released a post I hadn’t quite finished, so I hurriedly and embarrassedly deleted it, but I would still like to visit the topic. Because yesterday last year, October 3rd, was the day we finally got to Ohio and could take a breath. “I’m an Ohioan now. Everything’s changed.” But I’ll stop at saying I hate it. My voice is indeed quivering, because I didn’t realize how much the PNW got into me and I’m sad to be gone. There aren’t the beautiful mountains, nearby lakes I can take Wee One to on a hot afternoon, and our family isn’t in our own space anymore. But I’m a native Midwestern girl, and this is familiar. Saturday was OSU’s homecoming, and my father in law is a big football fan. No mountains mean there is so much open and uninterrupted sky. I hear the cicadas again, and I love it. Cohiba and I have support for WO, which means we slept in on Friday, went on a date on Saturday night, and I am now writing in the middle of the day. I don’t hate it, it’s just different. I talked about the stress of moving across the country with a toddler and happy plans Cohiba and I had to begin anew. And so we have. 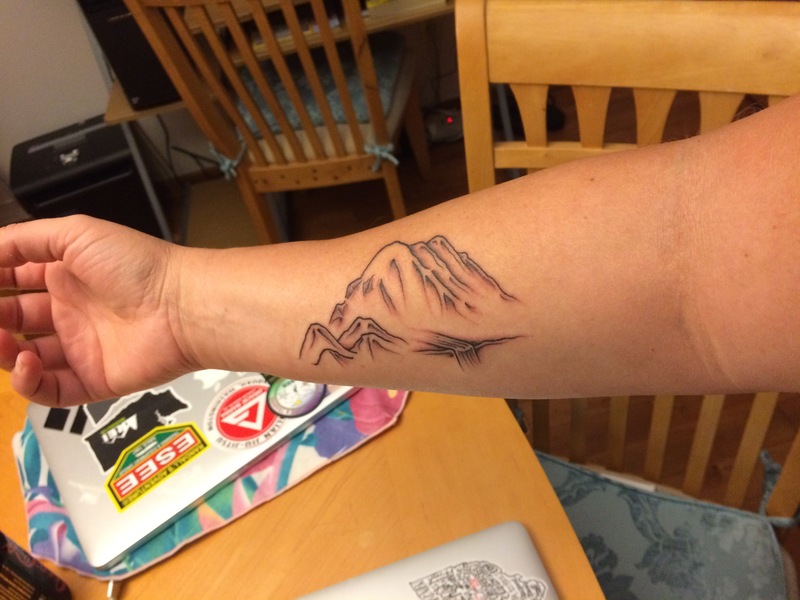 My voice isn’t quivering anymore, though I miss the PNW so much I got it tattooed on my body. Yesterday, as a matter of fact. On the other hand, we went home to visit my folks more this year, so Wee One could see Mimi more. We went to more Ren Fairs, and we’ve made friends. Mom friends, Jitz friends. Most importantly, we spent a year with Cohiba’s father before he passed away, and he was able to know and have a relationship with WO, something he feared he wouldn’t get. She brought him such joy in his last year and he loved her with a ferocity I’ve rarely seen.